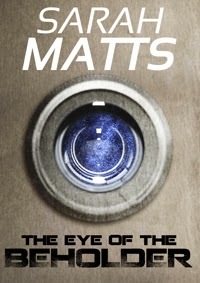 The Eye of the Beholder is a collection of nine short science fiction stories. In “The Job Hunt” follow Lee Jones on his quest get a foot into the world of work, while trying to keep that foot – and the rest of him intact, as he starts his very first job hunt. And you thought the job market was tough now! “The Eye of the Beholder” Being a detective is all about feeling; Walter should know, he’s been a detective all his life. However Rutger Eagle, one of the new robots in the precinct, disagrees. When a wreckage is found drifting through space, Walter makes a bet that he can solve the mystery first… the race is on! “Dance of the Dragonfly” is the story of an ancient battle that took place above the cool blue of a distant planet. Relive the history as told by the decedents of the combatants. “First Class” Even in the future, people will send letters. All James wants to do is make his delivery. But when you are carrying a secret that is easier said than done! “Alien” Jane Taylor doesn’t believe in aliens, so when she is abducted by some it tests not only her beliefs about them, but about humanity as well. “GG” Genetically engineered entertainment! Welcome to the arena! “Beyond the Veil” No one has ever passed beyond the great storm known as The Veil. When Leonard Busby declares that he has cracked the secret to getting through, Alexander Brown is dragged along for the ride of his life! “The Last Discovery” Is this the end?